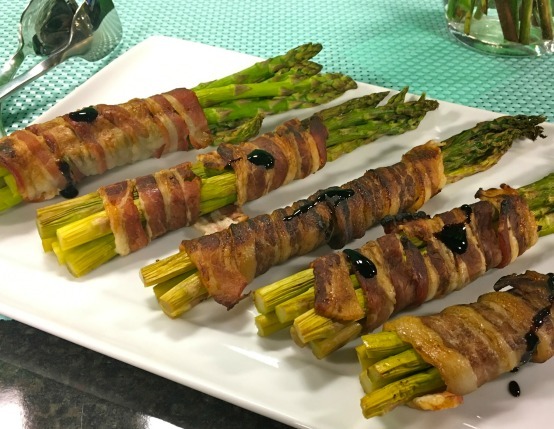 Asparagus is the quintessential spring vegetable, and this easy recipe is the perfect, bacon-y way to enjoy it. Simply serve with whatever you’re grilling! Preheat oven to 400˚F. Place rack in roasting pan and coat with cooking spray. Set aside. In small saucepan bring vinegar to a simmer. Add garlic and continue to cook over low heat until reduced by half, about 20 minutes. Add salt, pepper and hot pepper oil. Remove from heat and set aside. Rinse asparagus; trim woody ends and pat dry. Gather into bundles. 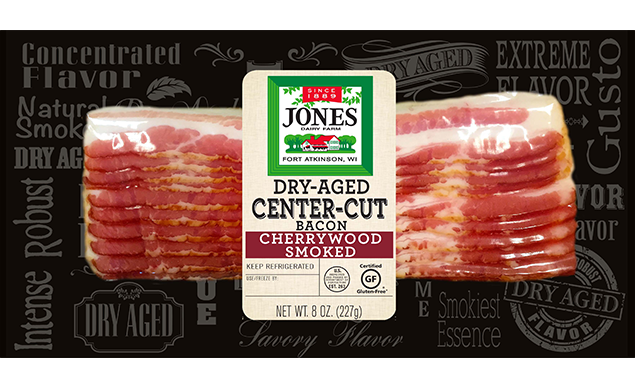 Slice bacon in half the long way so there are two long strips. Beginning at the base of each asparagus bundle wrap bacon around to within 1/2-inch of top, trying not to overlap bacon. Securing with toothpicks as needed. Brush with balsamic glaze. Lay wrapped asparagus in roasting pan. Bake until bacon is crisp, about 12 minutes. Lay bundles perpendicular to grates. Grill over indirect medium heat with lid closed as much as possible until the bacon is crisp and asparagus tender. Approximately 10 minutes, depending on size of asparagus.